Challenge: Employment opportunities are not evenly distributed across the UK, and the poorest communities are often more disadvantaged in terms of access to affordable accommodation, office space and economic opportunities. The problems these create – underutilised property and underutilised local talent – also present opportunities for growth. Hayes, located on the outskirts of west London, has been suffering from a decline in employment opportunities since the 1970s and 1980s, when the general decline of local manufacturing industries caught up with the region. The famous EMI factory, which produced pop records for the UK and became a hub of British engineering and innovation, employed over 22,000 people at its peak. 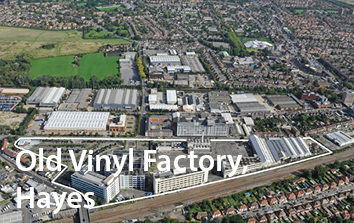 Investable Solution: In a joint venture with HUB, Bridges acquired part of The Old Vinyl Factory site. The site is located within 400 metres of the connecting station of the Crossrail route linking central London to Heathrow. Planning is underway for over 200 new homes in two buildings, The Material Store and The Boiler House. This development forms part of a larger project to regenerate a 17-acre site that was once the EMI factory, but which has been derelict for 40 years. The full development will invigorate the surrounding community through local employment opportunities and the creation of new communal areas and leisure opportunities. 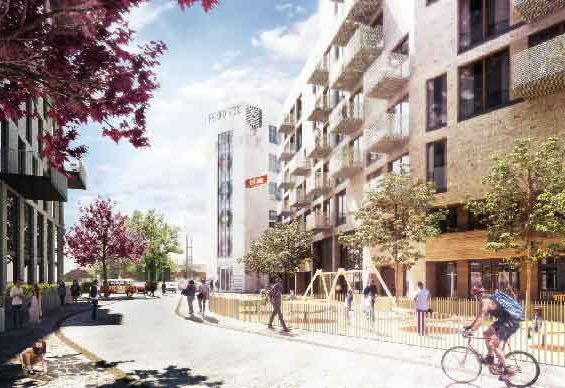 Outcomes: The Material Store and The Boiler House will regenerate a brownfield site to provide relatively low-cost housing in an improving part on London within two minutes from the new Crossrail station. The development will look to create jobs and economic dynamism by becoming a hub for SMEs, contributing to the establishment of Hillingdon as a centre of innovation and employment during construction. The buildings will also be constructed to a BREAM Very Good level and Code for Sustainable Homes Level 4. The superstructure will be constructed from cross-laminated timber, which has zero emissions if disposed of appropriately.